Infusing technology with the art of teaching, Michèle Gingras' website offers innovative resources in a variety of formats. Viewers can enjoy mp3s, mini-masterclasses presented on video, and an interactive course on circular breathing (complete with a quiz). Gingras also provides downloadable versions of many articles she has written for various publications, on topics such as klezmer, reed balancing, and performance anxiety. 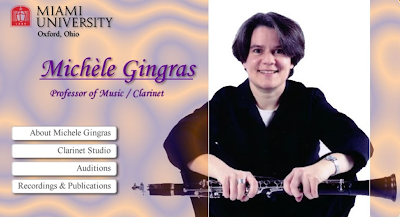 Gingras' "Clarinet Secrets" podcasts are a highlight of the website. Since its publication in 2004 (and 2006 revision), her book Clarinet Secrets: 52 Performance Strategies for the Advanced Clarinetist has gained popularity in written form and on the Internet. Gingras has chosen twenty of these "secrets" and transformed them into podcasts in which she demonstrates techniques put forth in the book. 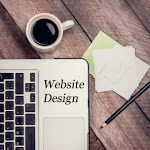 If you are new to podcasts, just think of a podcast as an audio or video file (like a radio or television broadcast) that is recorded and put on the Internet. These files are available to download onto your computer or iPod, allowing you to listen or view at your convenience. Podcast topics include finger motion, tonguing, extended techniques, and much more. Their potential as teaching tools is readily apparent. Clarinetists can watch videos that address areas of interest, and teachers can discover new approaches for difficult aspects of clarinet playing, such as the "flat chin" or throat flexibility. Gingras has made these podcasts available as free downloads from the Apple store. The only drawback is that iTunes is required in order to view and download them. Another option is to watch videos as streaming Quicktime files from Gingras' website, although only a few are available in this format and they can be slow to load. If all else fails, the twenty "Clarinet Secrets" videos are also available for purchase on DVD.